We offer rental cars Hyundai Solaris (without driver). 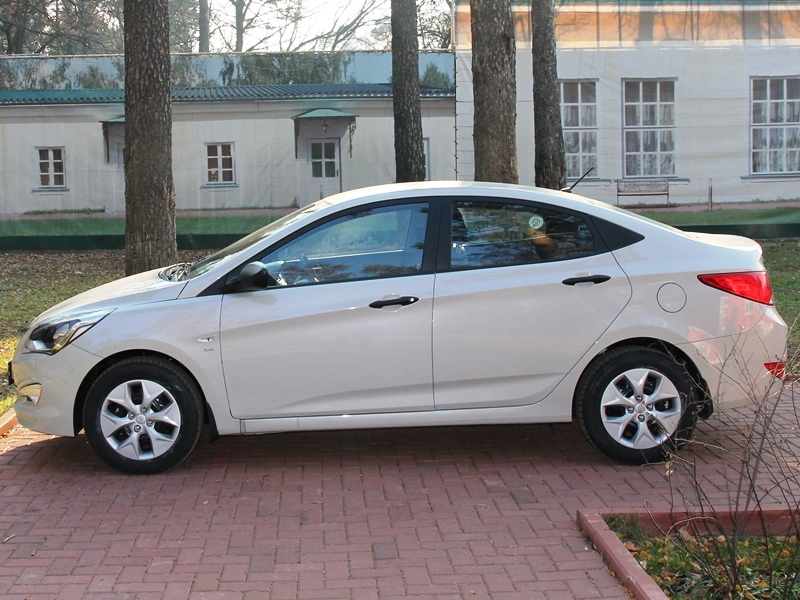 This is a completely new car, created by Hyundai specially for Russia. The new model Hyundai Solaris has a bright, modern and eye-catching design that meets the tastes of our customers who want to express themselves. Hyundai Solaris is ideal for long-term lease, because along with the spectacular appearance, has good capacity and efficiency. Small fuel provided highly 1,4 DOHC engines of the new generation Gamma, which utilizes the latest technology multi-point injection and variable valve timing. This enables the sedan Hyundai Solaris increased power and torque. 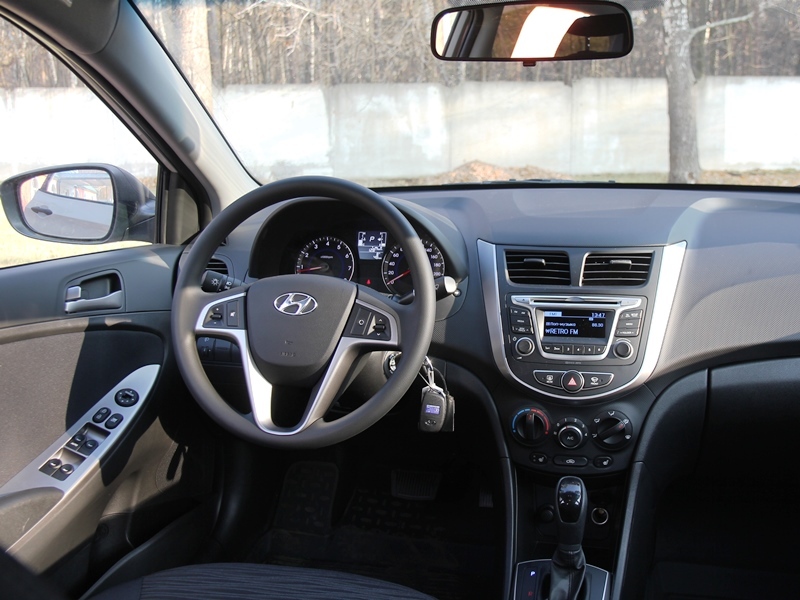 Rent a car Hyundai Solaris in our company is carried out in the most favorable conditions, at the best price, the new 2015 cars and excellent service. You can book a car rental at any time if you are at least 23 years of age and driving experience more than 3 years. 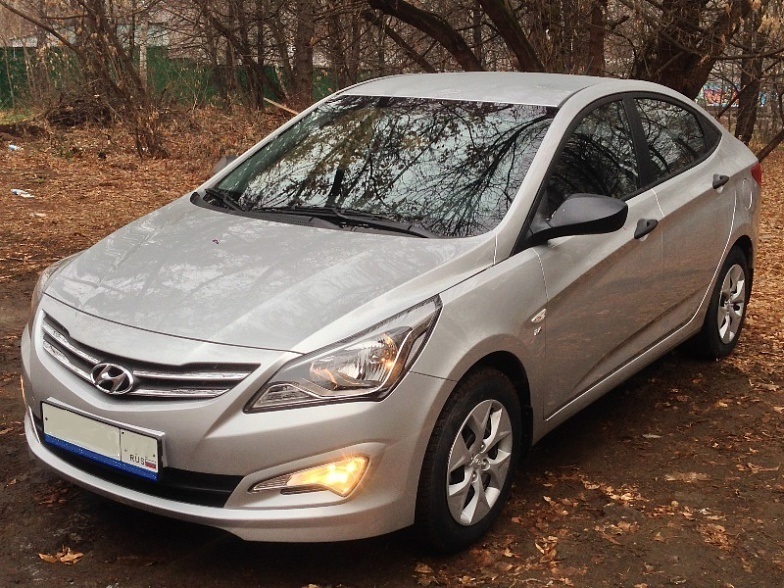 Hyundai Solaris 1.6 sedan 2015 onwards - Stylish Korean sedan rich set with a powerful but fuel-efficient engine and automatic transmission. 4 hdverny, 4-seater, automatic transmission, manual transmission. 01-30 days - 1600 rubles. 30-60 days - 1400 rubles. Rates include insurance against damage and theft with the "franchise" liability insurance to third parties. The fare does not include the cost of fuel. "Franchise" - the amount of liability of the tenant in which he responds to the lessor in case of damage (theft) of the rented vehicle. At the beginning of the rental on the map the client is blocked security deposit includes the amount of the rental car and bail. Standard one-day tariff gives the right to use the car for 24 hours. In case of excess of this period, more than 30 minutes will be charged once the standard one-day rate for each additional day car rental in full. Minimum rental period 24 hours. When you return the car hire contract previously established deadline. Lessor shall recalculate the Customer for the use of the car according to current tariffs in full. Payment for the services of rental car is made in cash on the day of transfer of the car or using bank cards of payment systems Visa, MasterCard, American Express, Diners Club International, JCB. Credit cards such as Electron are not accepted. Cost of car rental and deposit is held at the time of signing the contract of hire car in rubles at the exchange rate on the payment date. In case of damage or theft of the vehicle the Customer's responsibility is limited to the franchise. We recommend to return the car in its pure form for ease of fixing condition of the car on the damage. Our company is doing our best for customers' convenience. If, for any reason, the Customer can not return the car during working hours to our representative, the Customer must remember that he is responsible for the vehicle until it is transmitted. 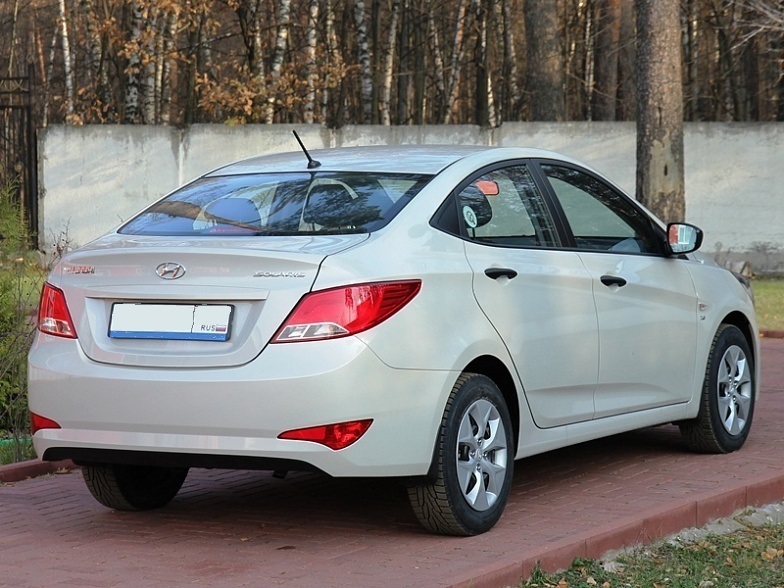 Security deposit for the car during the rental period depends on the class of the selected vehicle. The deposit amount is blocked on bank cards is unlocked after the return of the car and all the conditions and rules of the Rental Agreement at the end of 14 days. The deposit is 6 thousand. Rub. The customer should have the force at the time the vehicle driver's license and passport. The driving experience should be at least 3 years. The minimum age for driving a car - 23 years old. If necessary, driving additional driver required in the contract of rental car driver's license and passport, an additional driver who will drive the car. Service Cost - 250 rubles per day. When returning the car with less fuel than those specified in the Rental Agreement, will be charged an additional charge for refueling in the amount of 45 rubles 1 liter of gasoline. The customer is fully liable for the damage vehicle damage resulting from the use of low-quality gasoline or gasoline of other brands.